Dr. Simeon Ananou is Vice President for Information Technology Services and Chief Information Officer at the University at Albany, SUNY. In this capacity he is responsible for general areas of Information Technology Services, including Client Support Services, Enterprise Application Services, Enterprise Infrastructure Services, Information Security and Research IT. 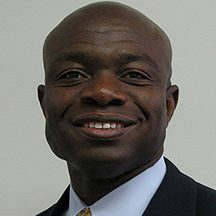 Prior to joining UAlbany, Ananou served as Chief Information Officer and adjunct in Information and Decision Sciences at Salisbury University. He was responsible for the strategic oversight of IT and communication infrastructure, as well as academic and administrative information systems and business intelligence for the campus. He has also served as Associate Provost at Slippery Rock University in Pennsylvania; Chief Information Officer at Piedmont Virginia Community College; and Director of Information Technology Operations at Ashland University in Ohio. His career started at The Ohio State University, where he served in various capacities ranging from Student Assistant, Telecommunications Systems Specialist, Network Administrator then Systems Engineer at the University Network Integrated Telecommunications Systems (UNITS) in the Office of Information Technology (OIT). Dr. Ananou has a wide range of research interests, many focused on how people interact with technology. Ananou holds a B.A. from The Ohio State University, an MBA from Baker College in Flint, Mich., and a D.Ed. from Indiana University of Pennsylvania. Serving as the Associate Provost for Information Resources at SUNY Cortland, Amy provides visionary leadership for technology and library services in alignment with the college mission. Reporting to the Provost, she is a member of the President’s Council and Provost’s Cabinet. Information Resources consists of Administrative Computing, Campus Technology Services, Memorial Library, Networking and Telecommunications, and Systems Administration and Web Services. Amy is responsible for strategic planning, operations management, and financial and personnel planning and management. She works closely with the faculty and staff within Information Resources, and with faculty and administrators throughout the campus to determine library and technological needs, to develop programs, and provide resources to meet those needs. Amy is an active member of the SUNY Council of CIOs and also serves on several SUNY committees. In addition to her campus duties, Amy serves as the Chair of the SUNY Council of CIOs, and is a graduate of NACUBO’s Management Institute. While at Ball State University, she received the Meritorious Award for Service. Amy earned a B.S. in Political Science and a M.S. in Communications and Information Sciences at Ball State University in Muncie, Indiana. She has worked in higher education technology for 29 years. Prior to joining SUNY Cortland in 2009, she worked at Plymouth State University (NH) and Ball State University. 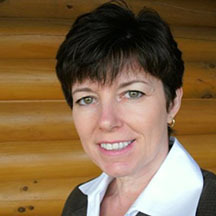 Denise Burbey is Executive Director of Technology for Jamestown Community College and has served as the college’s CIO since 2008. She provides strategic direction for the college’s technical and information security areas across four locations, including the leadership of Management Information Systems, Information Technology Services and Media Services. As a member of JCC’s Leadership Council, Denise forges partnerships across various departments to accomplish goals in support of the college’s mission and strategic direction. Denise also served for seven years as JCC’s first Director of Distance Learning, establishing the college’s online and interactive television programs, including faculty training and development, system configuration and installation, and student support. She began her tenure at JCC in 1997 in the Center for Continuing Education, where she provided training and project management for corporate clients. She began her higher education career at a four-year private college in Wisconsin as assistant director for an accelerated-degree completion program. 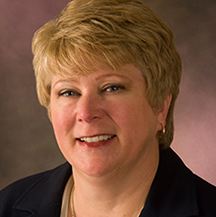 Denise has been an active member of Chautauqua County’s Leadership Network since 1999 and currently serves as a board member and chair of the strategic planning and financial stability committees. She earned her M.S. in Adult Education from Buffalo State College, a Teaching in the Virtual Classroom Graduate Certificate from Fielding Graduate University, and her B.A. from Silver Lake College. She recently completed the Certified Lean Professional program through the University at Buffalo, and is a certified peer reviewer for Quality Matters. Michael Cato leads IT strategy and operations as CIO of Vassar College, a highly selective, residential, coeducational liberal arts college consistently ranked among the top liberal arts colleges in the country. Since joining Vassar in 2013, Michael has led the Computing and Information Services (CIS) division to adopt new approaches to better serve the college community. These efforts include developing Project Management methodologies, initiating IT Service Management principles, and implementing an intentional organizational culture program. Notably, in 2014 Michael led CIS to successfully receive two Campus Cyberinfrastructure: Infrastructure, Innovation Engineering (CC*IIE) grants from the National Science Foundation. Finding the right opportunities to integrate technologies into a highly successful curriculum remains one of the great challenges of leading IT at Vassar. Michael previously served as Interim Vice Chancellor for Information Technology and CIO at the University of North Carolina at Charlotte. He served in this role as the institution began its first institution-wide IT Strategic Plan and restructured the IT Governance process. Before becoming Interim CIO, Michael served as Director of Client Services and led efforts to reorganize and refocus the client facing aspects of ITS to better serve the campus community. Among other accomplishments in Client Services, Michael conceived and led the Future of Student Computing initiative resulting in a hardware support partnership for student-owned hardware, a new Service Desk presence in the Student Union, and a hosted Virtual Desktop Infrastructure pilot for students. Michael joined the UNC Charlotte community in 2006 as the Executive Director of Health Informatics in the College of Health and Human Services where he was responsible for expanding and refining IT services to address the unique needs of the College. He served as a Co-investigator on a NIH funded project to examine the feasibility of delivering HIV prevention education via text messages to African American adolescents in Charlotte. Successful and innovative endeavors there earned him the nomination for UNC Charlotte Employee of the Year in 2009. Prior to joining UNC Charlotte, Michael held several IT positions at UNC Chapel Hill where he was awarded UNC Chapel Hill’s IT Award in 2003. Michael is an Educause Management Institute faculty member, a member of the Society for Information Management, a member of the Information Technology Senior Management Forum, an Educause Leading Change/Frye Fellow, an alum of Leadership North Carolina, and serves on the Board of the American Institute of Biological Sciences. Degrees held include a BS in Zoology from Andrews University and an MBA from Wake Forest University. 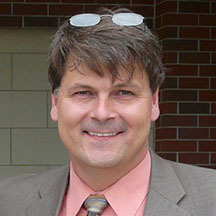 Dr. Karlis Kaugers has served as CIO since 2011, leading the IT Services area of SUNY Oneonta. He supports the mission and goals of both SUNY Oneonta and SUNY through the development, deployment and integration of information technology to advance the mission of the college. Responsibilities include oversight of operations, strategic planning, personnel and financial management and planning. He is responsible for reporting, metrics and key performance indicators for IT as well as the execution of regular assessments of user feedback and communication of the future of IT services on campus. Karlis is the author or co-author of more than 25 peer-reviewed articles in Computer Science, has been awarded more than $1 million in grants as either a principal investigator or co-PI, and served as a reviewer and co-editor for a number of publications in Computer Science. He was recently featured in the EDUCAUSE CIO minute at: https://www.educause.edu/ero/article/cio-minute-greater-professional-empathy. 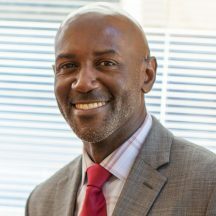 He is currently the vice-chair of the SUNY CCIO and has participated in both the EDUCAUSE Institute Leadership Program and Learning Technology Leadership Program as well as a number of Faculty Leadership seminars. He was awarded the 2010 outstanding service award from the College of Engineering at Western Michigan University, and has earned a series of other service and teaching awards during his time as a faculty member. Karlis earned his B.A. in Computer Science from Kalamazoo College and his M.S. and Ph.D. from New Mexico State University. He has worked in higher education in the IT support realm at a variety of research institutions. 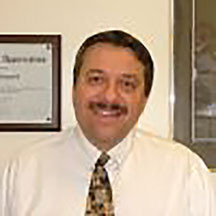 Prior to joining SUNY Oneonta, he served for 13 years as a faculty member in Computer Science and five years as the Director of IT and Facilities for the College of Engineering at Western Michigan University. Dave Powalyk has over 38 years of experience in higher education and most recently served the State University of New York System as the Chief Information Officer (retired). Prior to his appointment as SUNY’s Chief Information Officer in July 2014, Dave held various leadership roles throughout his career. These have included: Chief Transformation Officer, Interim CIO at the System Office, Chief Technology Officer, Director of Strategic Planning, the Director of Computing and Applications Development, as well as Project Manager for various system-wide business initiatives. Prior to SUNY, Dave worked for the NYS Education Department after earning his SUNY degree. Additionally, Dave has been the primary contract negotiator for all system-wide technology contracts for more than 25 years. His efforts have resulted in agreements that have been sustainable for decades and enabled the University to provide access to state of the art technology at all 64 SUNY campus locations. It has been estimated that over the last three years a total system-wide savings of $32M has been achieved as a result of these efforts, with cost avoidance estimates totaling in excess of $100M. He has developed and deployed Strategic Partnership with a number of SUNY vendors that are critical to the long-term success of SUNY students and the administrative business services and mission. He provides strategic direction to senior management on technology, services and support to meet both current and future needs of students, faculty and staff throughout the SUNY system. The experience in building, leading, collaborating and motivating teams inclusive of senior management, vendors and the functional and technical organizations. Dave has presented on “Negotiations Strategies for Higher Education” at Educause as well as numerous sessions at various national events. He continues to serve on global Executive Customer Advisory Boards. Most recently Dave received the 2016 Lifetime Achievement award from his colleagues ‘For exceptional dedication and selfless service to the State University of New York, including contributions beyond his immediate responsibilities as a technology professional”. 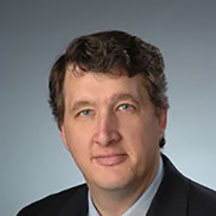 Christopher M. Sedore is President of the New York State Education and Research Network (NYSERNet), a non-profit technology company that connects New York’s colleges, universities, and other research and education organizations to each other and the broader digital world. Before joining NYSERNet, Chris spent 25 years at Syracuse University, serving as Vice President and Chief Information Officer, Associate Vice Chancellor for Academic Operations, Senior Vice President of Enrollment Management and other roles. He currently teaches at the University’s School of Information Studies. In addition to leading NYSERNet and teaching for the iSchool, Chris is an avid technologist and maker, who enjoys fusing technology and the physical world in everything from 3-D printing to woodworking and welding.